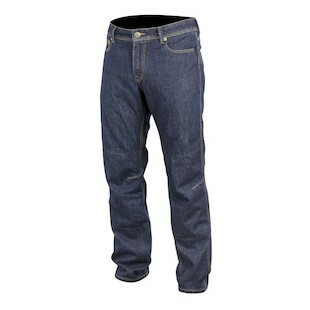 New Tech Denim Jeans from Alpinestars! Be it a commute, a bar hop, or a simple cruise around town, sometimes it can be nice to be a bit more incognito with your riding gear. Riding Denim is nothing new, but Alpinestars brings a new collection of options to the table this fall to compliment their collection. The first bit of importance with any denim riding jean is the presence of Kevlar for abrasion resistance. These pants fit the bill, reinforced with internal Kevlar hip and knee panels. The Alpinestars Resist Jeans, part of their "Tech Denim" collection, has a straight fit and clean cut look, for those of you white collar rebels who prefer to make a more classy statement of defiance. The inner waist and pockets are detailed with a contemporary print design. We advise you to resist the urge to wear your jeans inside out to show of this detailing, and instead just rest in the knowledge that you are hip, even if it stays your little secret. If that sounded to up-tight for you, the Alpinestars Ablaze Jeans, also labelled "Tech Denim," are available with a more relaxed comfort fit. 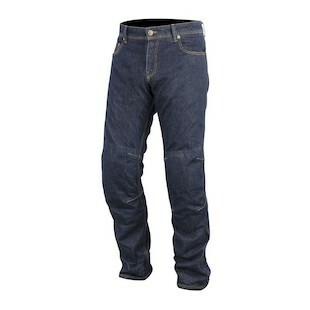 The Kevlar stitching at the knees is more apparent, giving these jeans a more rugged "on the job" feel. The Ablaze also sports a leather belt patch with leather logos on the front and rear. This makes them pair perfectly with a pack of smokes and a Roland Sands Hesher II Jacket, just saying! This next one is basically a carbon copy of the Resist, but with an accordion stretch panel at the rear and a more aggressive pre-curve shape. The Alpinestars Hellcat Jeans uses a straight cut fit along with the print and patch details mentioned in the previous two. 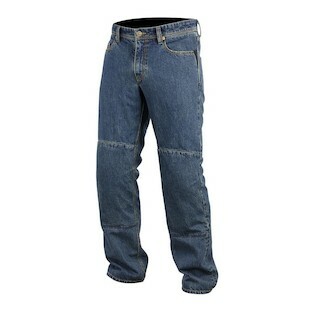 The first three pants all come with CE-rated adjustable knee armor and removable hip padding. 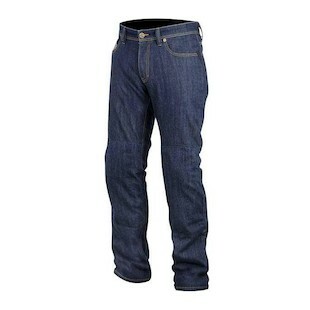 The final men's option in Tech Denim is the Alpinestars Outcast Jeans. These do come with hip padding, but the CE-rated knee protection is sold separately. This allows for a more attainable price point, but still keeps the Kevlar protection and the attention to detail and a straight-cut fit. Alpinestars will also be releasing a women's version as a part of their Tech Denim Kevlar collection. The Women's Alpinestars Kerry Jeans will have the same Kevlar reinforcement, including the CE-certified knee protectors and the hip padding. Accordion stretch panels decorate the knees for extra flex and fashion. Throw on your Tech Denim and hunt down some Mayan club flagrants! Or, go do your grocery shopping and stuff those saddlebags with fragrant pears! The choice is yours, the Denim is Alpinestars.